Young people today regard professionals as the best sportsmen and athletes meaning those who earn a living from their sporting endeavor, and amateurs, meaning those who take part in sports as a hobby or for pleasure are those who belong to a lower level of performance. Indeed the expression in English “he is very professional” or “he is very amateurish”, means the first is superior to the latter. Many people would not realize that most modern sport came from the British, some going back to the 18th century and they were played by the upper and middle classes. The working classes were excluded and sport was very much connected with snobbery. The rich played sport for its nobility and were superior persons. They did not play for money, which was wrong and low class. In the Oscar-winning film “Chariots of Fire” there is a conversation between the University student Harold Abrahams, who would eventually win a gold medal in the Olympics, and the Master of Trinity College, Cambridge when Abrahams is accused of having adopted a professional attitude in his training. And Abrahams replies “perhaps you would rather I played the gentlemen and lost”. And the answer was yes. The Olympics was originally only for amateurs and Jim Thorpe who at the 1912 Olympics won the pentathlon and decathlon event was stripped off his medals when it was discovered that he had played semi-professional baseball before the Olympics. It was only after the 1988 Games that the IOC decided that all professional athletes be eligible for the Olympics. In Cricket, there used to be a match in England between the Gentlemen and the Players, the noble amateurs against the professional cricketers. This kind of distinction between amateur and professional and snobbery was very much in golf in the early days too. 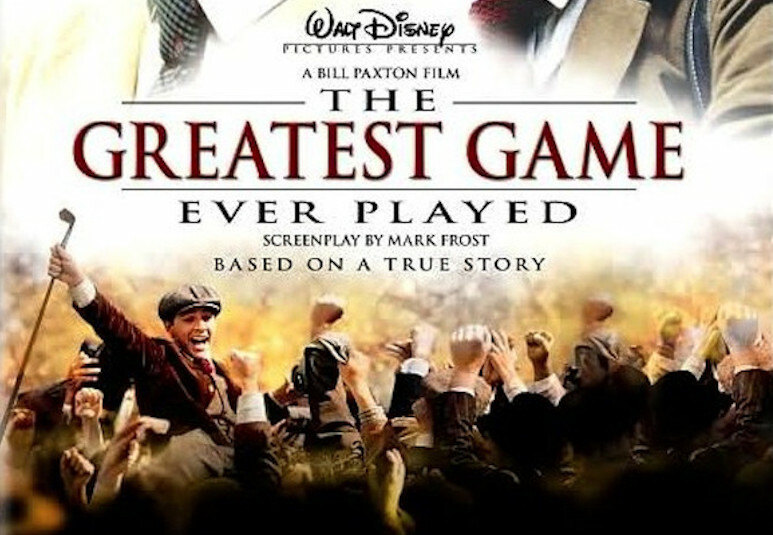 This is very much depicted in the movie “The greatest game ever played”. Set in 1913, the film is about Francis Ouimet, the first amateur to win the U.S. Open. Ouimet came from a poor background and was not a member of any club, and the movie shows the snobbery of the rich golfers and how Ouimet, socially snubbed, overcomes all the odds to win. Another example of this attitude happened to Harvie Ward, one of the greatest American amateurs. Ward lost his amateur status in 1957, when he was a top amateur, when the US Golf Association found that he had accepted expenses from sponsors to play in golf tournaments, even though one of them was his own employer, who he worked for in his car dealership. Although the ruling was reversed a year later, Ward would be badly affected. In 1922 the world’s leading professional Walter Hagen entered for the British Open held at Royal St. George’s only to be denied entry to the clubhouse because he was a professional. Not to be discouraged, Hagen hired a Rolls Royce, parked it in front of the clubhouse and changed and ate all his meals there! Years later Arnold Palmer, at a dinner honoring Walter Hagen told everyone that the professional game owed a lot to Hagen, otherwise the dinner would have been held in the pro shop and not in the clubhouse.! It seemed that at that time while the professional was admired for his skill, he was considered an inferior person. If one reads of the lives of the legendary figures of golf, Ben Hogan, Sam Snead, Walter Hagen and Gene Sarazen, you will find out that they were very poor and played for very little prize money at the beginning of their careers. And they very often survived by gambling against rich amateur golfers. Only when the public began to recognize their skills and followed them in tournaments did the professional game begin to prosper. Then of course, when television and filming developed, prize money and sponsorships just took off. In the early days, there was no reason for rich amateurs to turn professional as there was no money to be made and only the poor golfers, who had learnt their golf as caddies, turn professional because as amateurs they could not accept expenses and could not continue to play. The rules in golf separating the amateur and professional were very strict. To this day, there are still rules on amateur status, which breach of which makes a golfer lose his or her amateur status and therefore ineligible to play in any amateur tournament. These rules have been greatly relaxed. But years ago the Rules of Amateur Status were very strict on expenses and had strict limits on prizes, including the prizes for getting a hole in one. I was at a World Conference for golf organized by the R and A, held at St. Andrews, Scotland more than 20 years ago, when the Rules of Amateur status were discussed. I had put up a paper for presentation. Basically my point was that the Rules on expenses were so strict that third world countries are at a disadvantage if poor children could not be helped financially. There was no way for them to play golf. I pointed out that the promising amateur players in developed countries actually played full time golf and were funded through their rich golf associations or through scholarships from schools and universities but this was not available in third world or undeveloped countries. I also addressed the prize limits on holes in one, saying that it was hard to control as in our parts of the world holes in one were considered luck and people did not consider it wrong to accept a car for example. My paper was politely received but nothing came out of it. The British golf associations and the USGA continued with their attitudes. It was only many years later that the USGA removed the rule on holes in one (to be followed by the R and A a few years after that), and nowadays the Rules on expenses have been liberalized greatly. The fact of the matter is that throughout the world all the top amateurs play golf full time funded in some way, hoping to turn professional. And the line between top amateur and professional is blurred. In the old days, a declaration of intent to turn professional was enough to make one lose one’s amateur status! Now with so much money in professional golf, every top amateur aspires to turn professional. Fred Ridley the newly appointed Chairman of Augusta National is the last U.S. Amateur Champion not to turn professional. And have you noticed that many amateurs have won their first professional event in their first year as a professional. No prizes for guessing why. Because they have already been playing like professionals even as amateurs. Malcolm Gladwell in his bestselling books has studied people who are geniuses. From musicians to sportsmen to chess players. He concluded that in addition to considerable talent, these geniuses had spent at least 10,000 hours of practice. So talented golfers must start early as children to accumulate those hours of practice as amateurs. No difference from the professionals. They must learn the work ethic and dedication of a professional. They must have the attitude of a professional (so unlike Harold Abraham’s day). Lawyers, doctors, engineers, and teachers are said to belong to a profession. Bank Negara and other regulators require directors of companies to act professionally meaning to a very high standard. And all regulators and the Companies Act impose strict standards on directors and employees and punishment for breaches of them. Sometimes they can be very punitive. Correct me if I am wrong, but all our National Sports Associations are formed under The Societies Act and outside the governance of the aforementioned regulators. This Act dates back to 1966, more than 50 years age! It is a model inherited from the British colonials, and the British have long discarded it. Nowadays British sport is all about performance and high standards of accountability. That is why they did so well in the London Olympics. In the age of professionalism, it is about time all our sports associations be incorporated and be governed by the Companies Act or a new Act so that all these bodies and those who run them be held to the highest standards and transparency and be punished for not doing so. The old model does not work anymore. Our amateur golfers used to be very much superior to the Singaporeans and a match for Thais. Now Singaporeans can beat us and the Thais far ahead. In Singapore, the government took over the Singapore Golf Open and imposed performance managers on their Golf Association and closely monitors its performance through the President, who is appointed by them. In Thailand, for a long time, the amateur and professional players have been supported by the Singha Beer company. Their Golf Association President is nominated by them because of their large financial support. Clearly, their model has been very successful. In Malaysia, our golf association has not been able to hold for the last two years the venerable Malaysian Open, which has been held since 1961. In many other countries, many professional players and teachers are brought in to help run the sports associations. There are also many academic and golf schools run by professionals to teach golfers. In Korea, many schools have golf programmes run by professionals. Many non-American young players study at American Universities, which have very good golf programmes. In the age of professionalism, our Sports Associations must recognize that they need to be professional in their approach and they must be run by such people and be accountable when they fail. Too long they have been run by people with nothing to show for it. This model of the Sports Associations controlling everything does not work anymore. There must be far greater accountability in the way Sport Associations are run. Like any successful organisations, they must continually be improving their standards and performance. Without a professional attitude from all those in charge, we will slip to the level where nobody cares anymore. I suspect we have already reached this level in many of our sports. We remain as amateurs. Which case, the time has come for a different approach. For many top sporting countries, sport is the province of many people and organisations. So many people are involved to produce top sportsman and athletes including the press and media, which can be very critical if things go wrong and there is no success. Sports officials can be crucified. To rely on the sports associations alone as we have done up to now is to quote Einstein “Insanity is doing the same thing over and over again and expecting different results”. 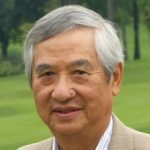 Dato’ Thomas Lee was with the Malaysian Golf Association for 30 years and served as President for 17 years from 1989, during which time he was the Chairman of the Organising Committee for the Malaysian Open Championship.